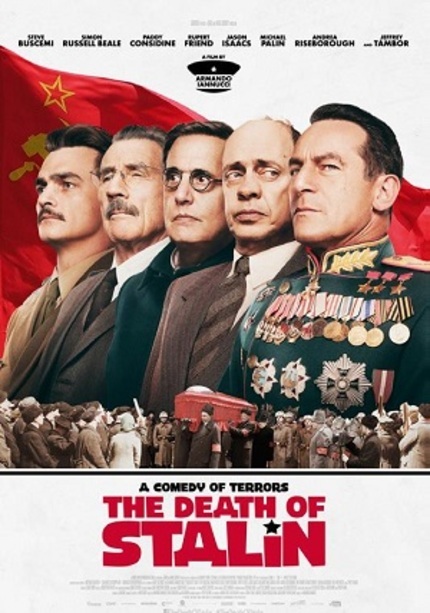 The Death Of Stalin is a political satire film that has an ensemble cast including Steve Buscemi, Rupert Friend, Simon Russell, Jeffrey Tambor, Jason Isaacs and Olga Kurylenko. Thanks to Madman Entertainment, we have 20 in-season double passes for the film to give away to our readers. The Death Of Stalin will open in Australian cinemas on March 29 and this competition will close at 3pm on March 28. You can check out the film’s official website for screening details. Good luck!